In today’s society the need for safe bio-containment systems is increasingly important. 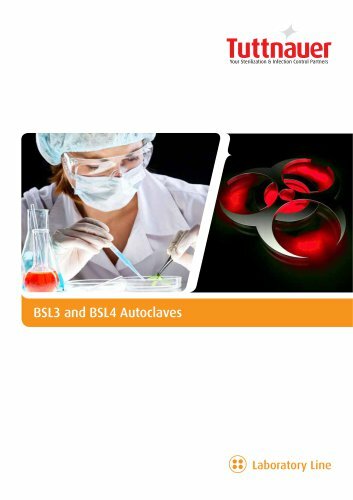 This is especially true in the sterilization process where standard autoclaves cannot deal with the threat posed by harmful pathogens and other contaminated materials that are emitted from BSL3/4 laboratories. Tuttnauer is at the front lines, continuously creating new standards in the field of bio containment. With years of experience in the market, Tuttnauer produces reliable and safe biocontainment systems.